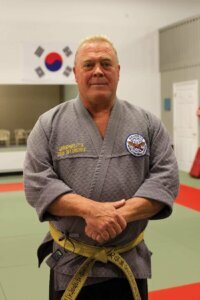 John Beluschak’s American Judo-Hapkido Institute teaches focus, self-control, and respect. Training starts immediately when you walk through the door of the American Judo-Hapkido Institute at Northpointe Plaza on the Mileground. The first thing Grandmaster John Beluschak teaches all new martial artists is to take their shoes off at the door and to put all of their problems from the day inside them. Hapkido requires focus from the eyes, ears, and entire body— distracting negative energy from the outside world must be left behind, in the shoes. Next comes bowing. Before walking through the door from the lobby into the large dojang with high ceilings and padded mats, Beluschak’s protégé and current instructor at his Morgantown location, Master Robert Cronkhite, directs every participant to bow toward the American and Korean flags hanging on the wall. Bowing is a sign of respect to the flags and to the designers of this style of martial arts. Respect and Hapkido go hand in hand. Unlike many forms of martial arts, Hapkido is not about beating anyone up. The respect goes deep—even to the point of respecting an attacker by not allowing an attack to succeed. 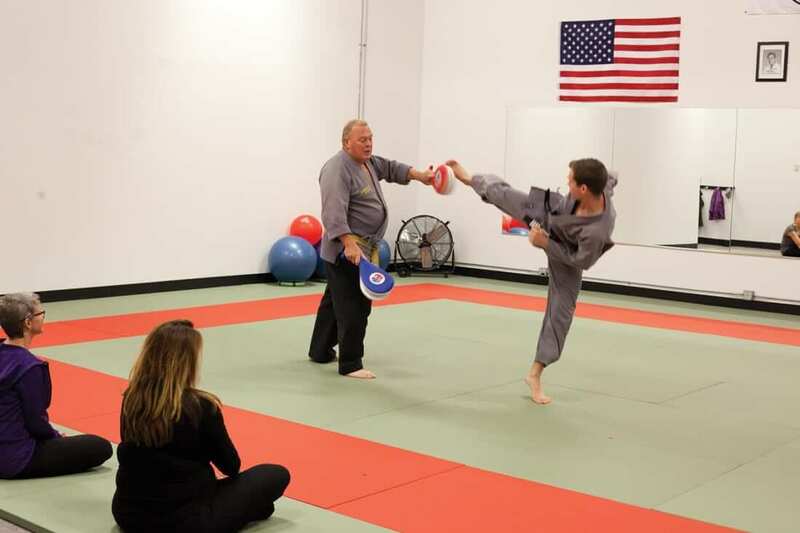 A trainee learns to disable an attacker through kicks and hand techniques. But the most important form of self-defense is avoidance, epitomized by the Hapkido mascot, the eagle—as fierce as an eagle is, it only lands where it is safe. Grandmaster Beluschak, active in martial arts since 1962, is a tenth-degree black belt in Korean Sin Moo Hapkido and has been teaching it in the same way since 1974—never following the martial arts fads of the passing decades. 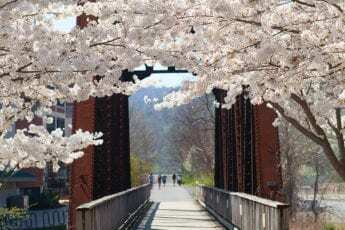 He was awarded his own style, called Sinmoo Yu Sool Kwan Hapkido, by the founder of Hapkido, Ji Han-jae, himself. Three building blocks form Hapkido: focus, self-control, and respect. 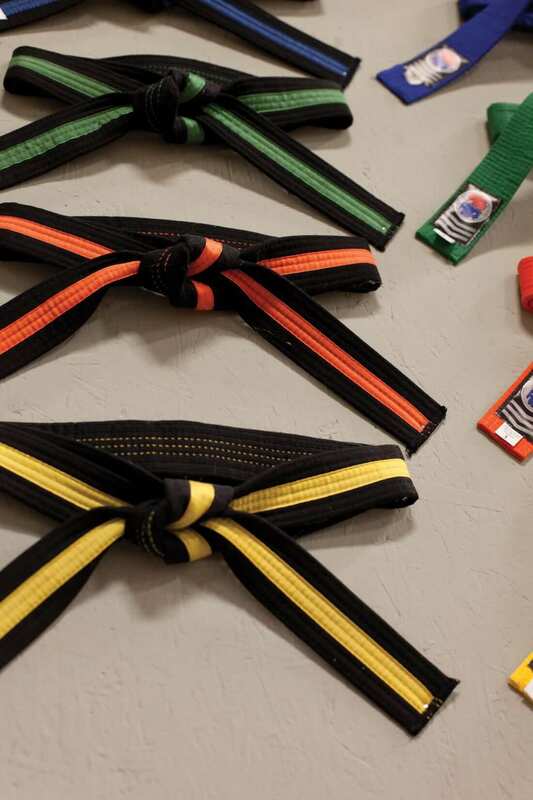 “We teach our students self-control and self-discipline, which are Hapkido skills they can use every day,” Beluschak says. Hapkido training helps students, children in particular, apply self-discipline and Hapkido respect techniques at home and at school. “In our school, we incorporate a lot of wisdoms of the week, which are little heart-felt messages that impact our students in a positive way,” he says. Typically, these wisdoms are inspirational or motivational and can be adapted to everyday life. In addition to daily wisdom, Hapkido teaches about mind, body, and spirit, with a heavy emphasis on breathing. 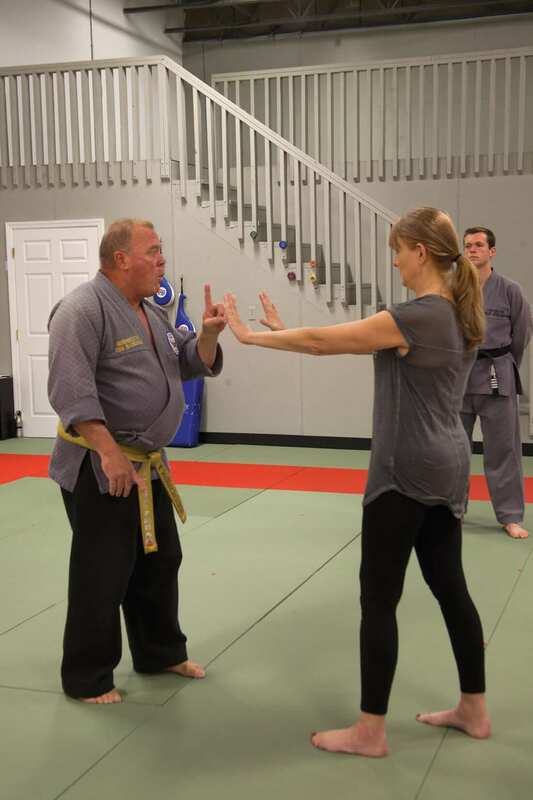 Much like yoga, Hapkido requires controlled breathing—which Beluschak teaches to all students before they move on to more advanced techniques. “Before you lose your self-control, you lose your breath control,” he recites. As used for self-defense, Hapkido teaches practitioners to be aware and alert and to avoid problems as the first level. The use of cellphones has made people less attuned to their surroundings, Beluschak says, and therefore more prone to attack. He teaches awareness of four pre-incident factors: someone following you, whether on foot or in a vehicle; someone diverting their path to intersect yours; someone blocking your path; and someone asking baiting questions like, “Can I get a light?” While any of these factors may be innocent, Hapkido training flags a succession of them as a potential threat. The response can escalate from shouting “Stop! Stay away from me! Leave me alone!” to breaking out of a hold to disabling an attacker through the use of kicks and hand techniques that leverage pain in service of control.